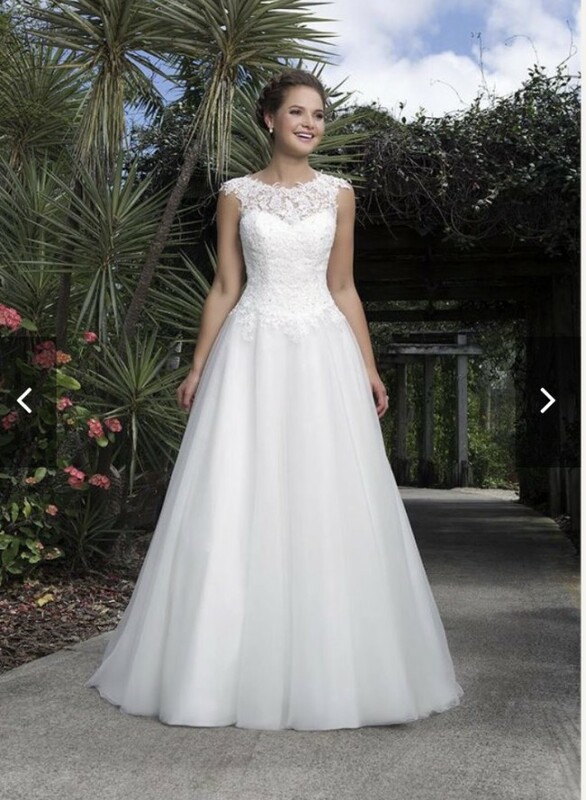 Justin Alexander describes this sweetheart collection dress as: ‘This tulle ball gown with beaded lace illusion Sabrina neckline, beaded lace bodice and basque waistline is girl next door inspired‘. The label is a size US20, but I usually wear a UK 16. I would describe it as comfortable, beautiful, extremely flattering, fit for a princess & surprisingly lightweight! 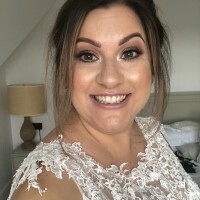 Worn on my wedding day in autumn 2018 and I had so many compliments! The double hoop was a total game changer as it made it easy to go to the bathroom as it meant I could pick it up by the hoop and go by myself! The dress fits beautifully as it could be pulled in by the corset & I did not need to wear a bra (being a 36E I never thought this would be possible!) as there is one built in. This dress is extremely easy to alter - both to extend or take in - due to its corset back and simple tulle ball skirt. The detailed lace corset is covered in sequins & beads that catch the light beautifully. As stated previously, I wore this dress with a double hoop, which I purchased for £70. I will be including this with the dress. The dress has been recently dry cleaned & is in immaculate condition. Please note that the veil pictured is not for sale. Please note that I would prefer collection and payment in cash. Buyer to pay postage and packaging which can be negotiated. I am open to sensible offers - message me. Lifted slightly at the top and shortened at the front. The dress is ‘tapered’ so the full length was kept at the back. I am 5ft 3 and wore 3 inch heels.